The shirt for the true Citizen. 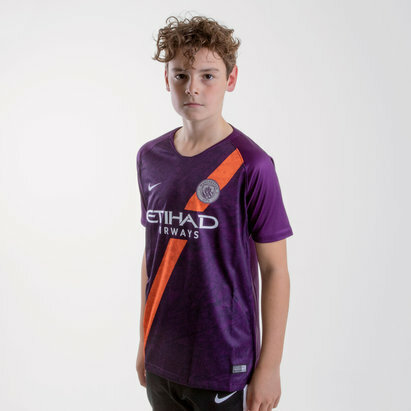 Sticking to what they know best Manchester City's 18/19 Kids Home S/S shirt from Nike is once again Field Blue and Midnight Navy. 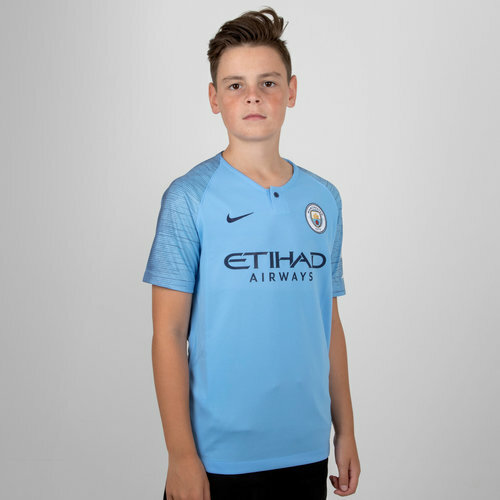 Introducing to you the 2018/2019 authentic home football shirt of the current Premier League champions, Man City. This clean design by Nike is similar to the dseign found on the new France world cup shirt. This jersey takes the engineered breathability of Nike’s VaporKnit technology to the next level, with quick-drying, high-stretch yarn designed to combat cling and moisture weigh, plus an open-knit structure in key areas to increase airflow in the 90 minutes. This high-end, cutting-edge shirt is all sky blue with a navy zig-zag print on the sleeves. 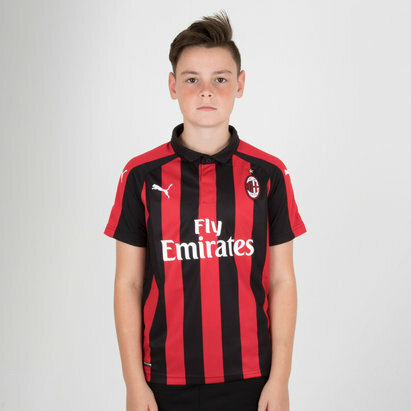 The club crest is embroidered on the left hand side of the shirt as is worn. 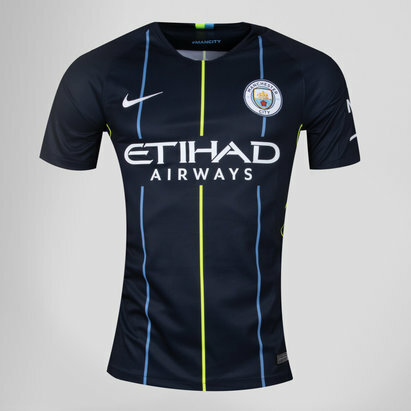 The Nike logo is embroidered on the right in navy which is the same colour the club's sponsor - Etihad Airways - is printed in across the middle.